"Big Boss Man" is actually a post-war revamp of the pre-war number "Stack o' Dollars", recorded by Charley Jordan in 1930. 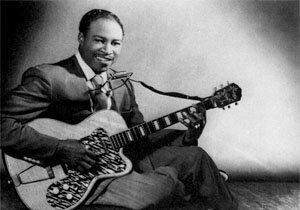 Jimmy Reed's new version was recorded on 25 August 1959 (source: "The Story of VeeJay" CD liner notes) and included on his LP "Found Love,' which also included the number "Baby, What You Want Me To Do," also to be recorded later by Elvis. Jerry Reed played guitar on the elvis big boss recording. Big boss man can't you hear me when I call? Big boss man, big boss man,big boss man, can't you hear me when I call?